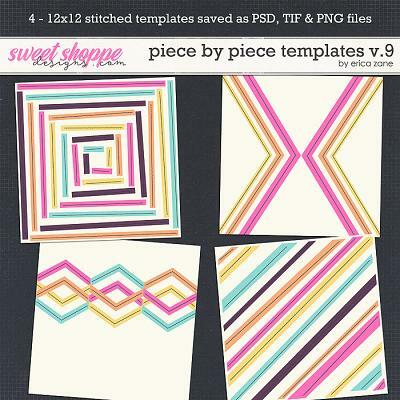 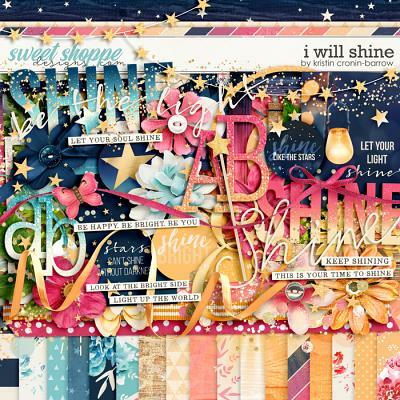 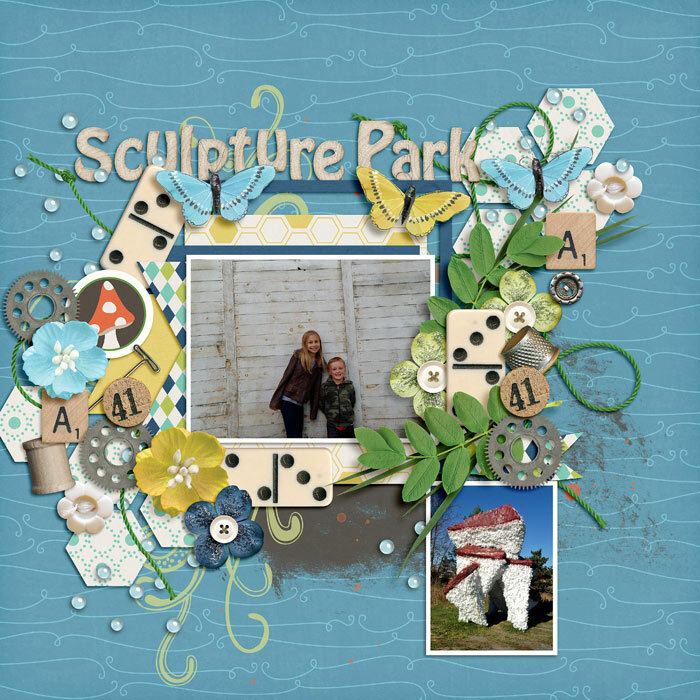 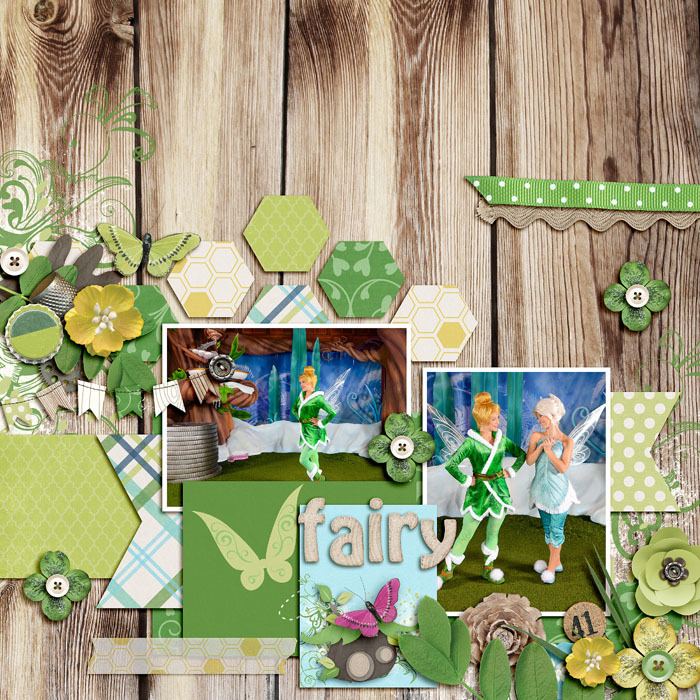 Enchanted, helpful and a bit of mischief are what make this Digital Scrapbook Collection magical. 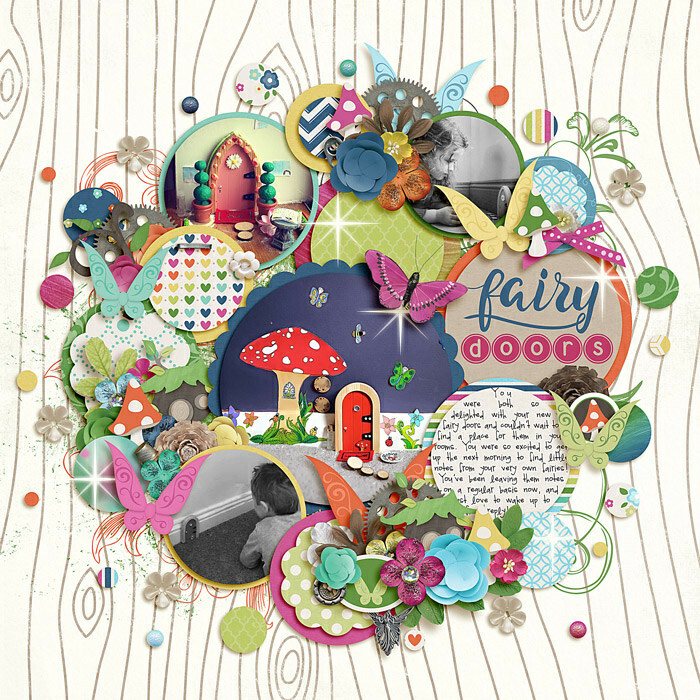 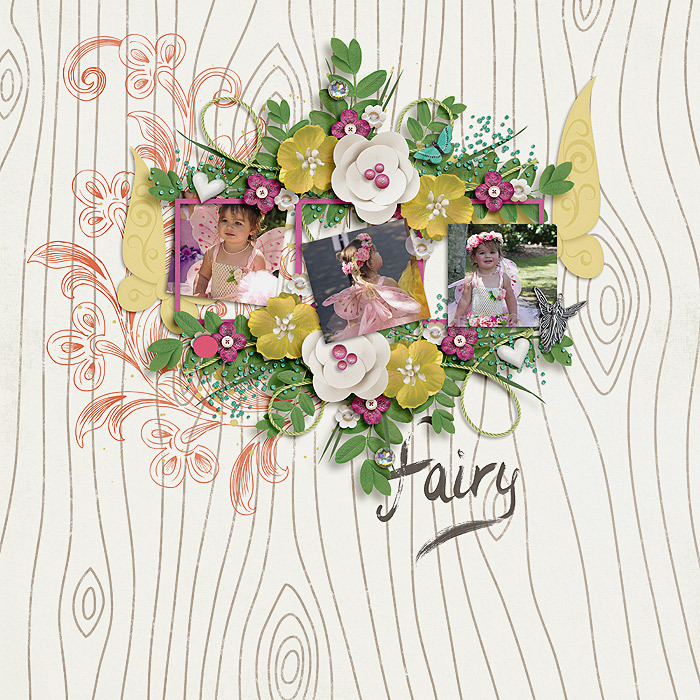 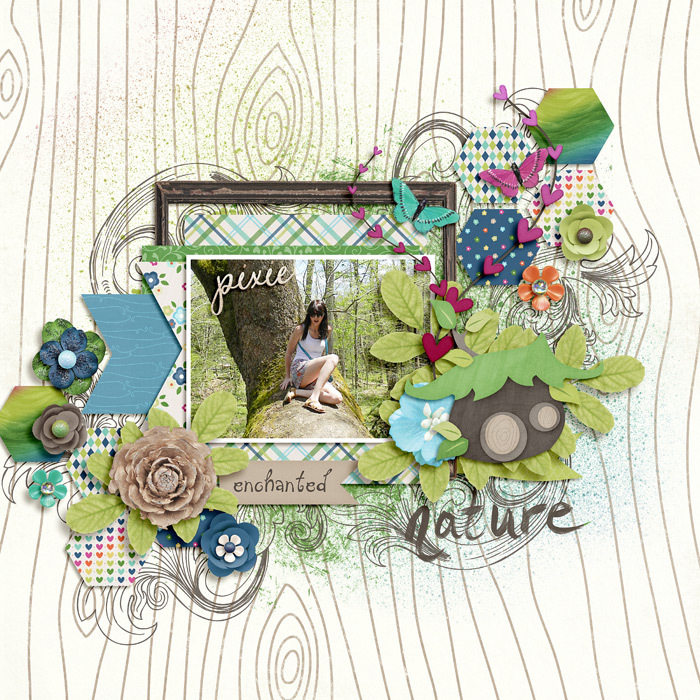 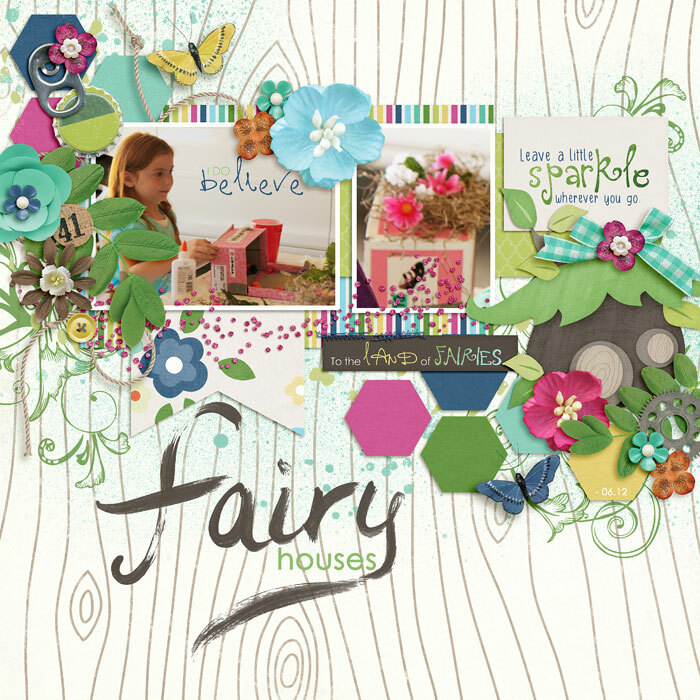 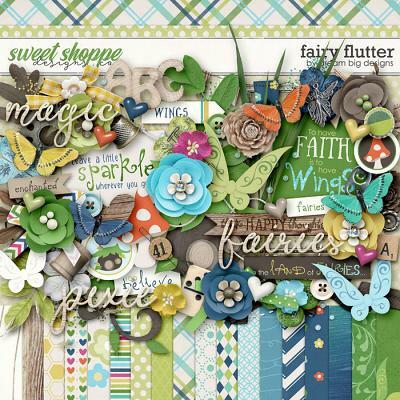 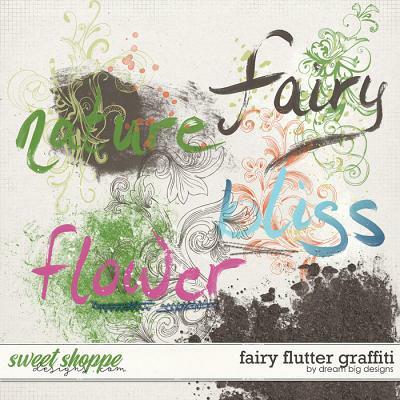 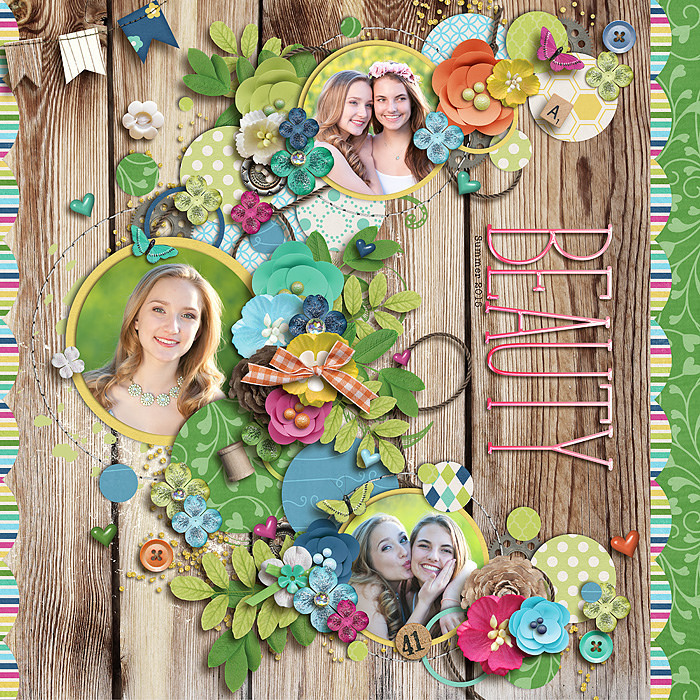 This kit is packed with fairy wings, mushrooms, flowers and wooden elements. 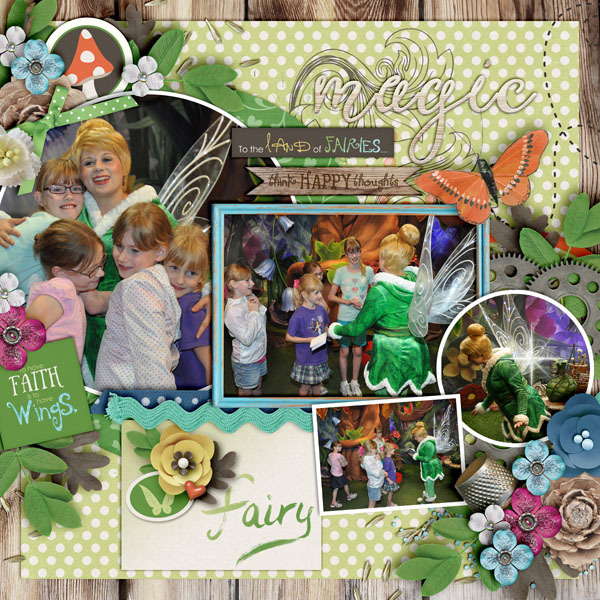 This kit is perfect for Garden Photos, Fairies, Princess Photos, Birthdays or anything else you can imagine. 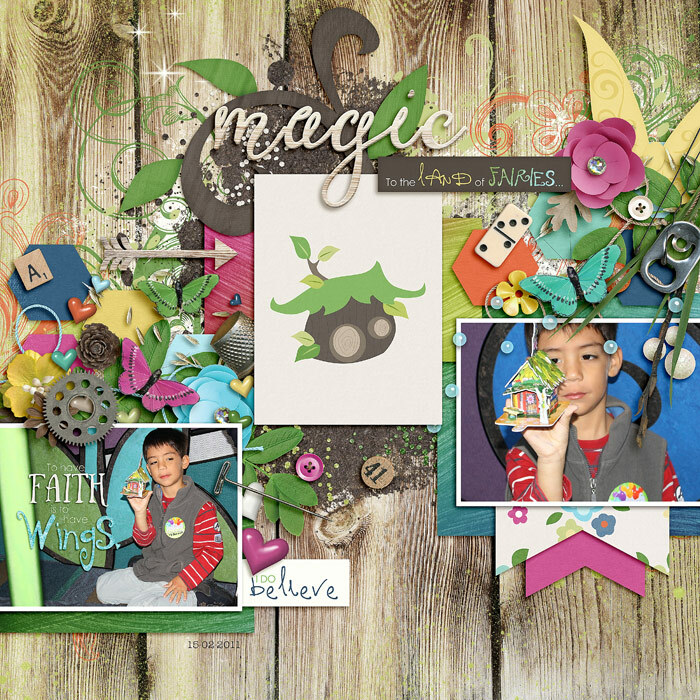 Make your own magic with this earthly kit. 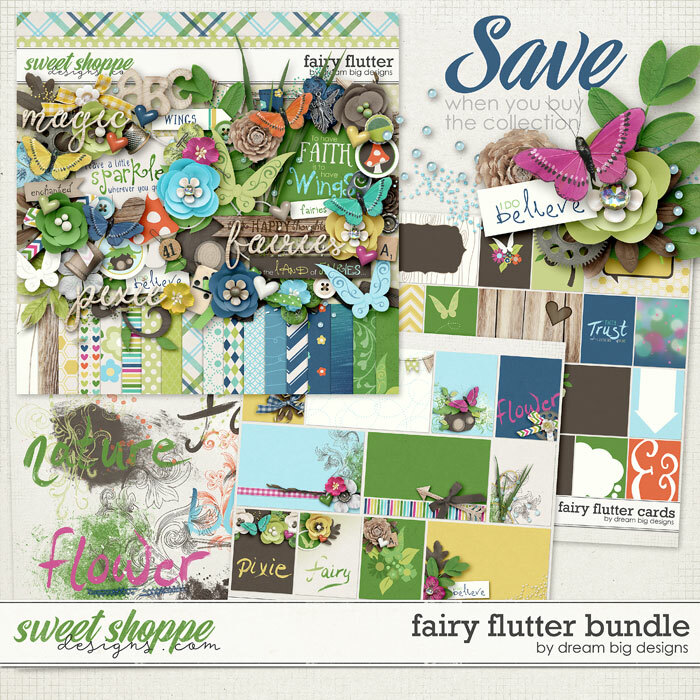 Includes: 11 Soild Papers, 18 Pattern Papers, Arrow, Banner, 16 Bows, 2 Branches, 8 Butterflies, 10 Buttons, 18 Pearls, 12 Flower Buttons, Diamond, 2 Bottle Caps, Thimble, 4 Cards, Charm, 3 Stickers, 26 Flowers, 6 Frames, Gear, 12 Hearts, Fairy House, Grass, 4 Leaves, 5 Mushrooms, 4 Paths, 3 Games Pieces, 2 Pins, 16 Ribbons, 11 Ric Rac, 10 Glitter Scatters, Seeds, Sparkle, Spool, 11 Strings, 5 Word Tags, 4 Water Scatters, 7 Wings, 3 Wood Words, and a Coordinating Alpha. 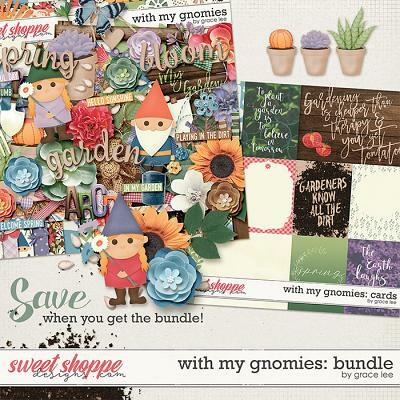 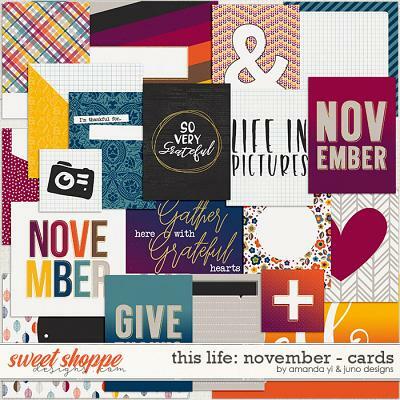 Also Includes: Journal Cards, 3D Cards and Graffiti Packs.